Make slushies and milkshakes fast with the Zoku Slush & Shake Maker. 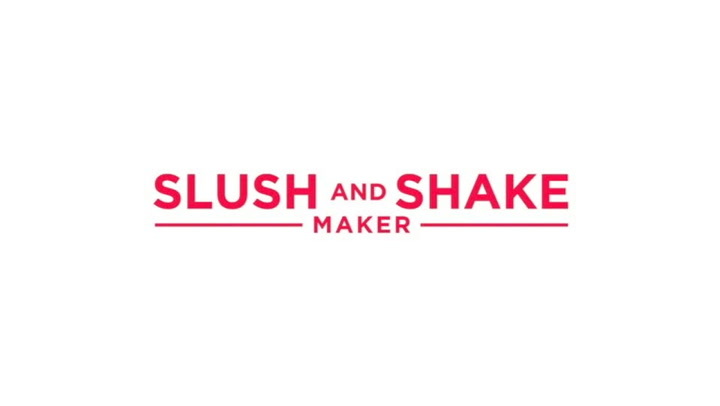 This high performance, design driven Slush maker can make healthy slushies, milkshakes, frozen alcoholic drinks and fruit smoothies in as little as 7 minutes, right on your countertop. 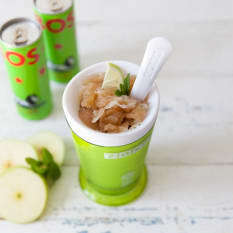 To use, remove the frozen inner core from the freezer and place it in to the outer sleeve, pour in your ingredients, mix and scrape the cup with the included spoon, and watch as the slush freezes before your eyes. View more from For the Minichefs, Gifts for The Kids, Ice Lolly Makers & Accessories, Zoku Quick Slushie Makers. There is no getting around the fact that the Zoku Slush isn't "cheap". I was uncertain that it would deliver enough value, but our family now owns 4 and they are constantly in use. The Slush is not a gimmick, and it delivers like the description and pictures indicate. After freezing it makes a slush in a few minutes. And if your experience of slush is the watery ice crystals and over-sweet syrups from movie theatres, then this will blow you away. Our favourites are fruit juices or Nesquick/Milo, which come out smooth and delicious. 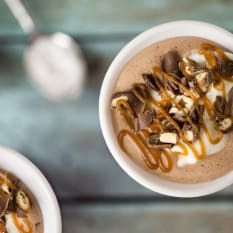 It takes slightly less than a full glass of liquid, and fruit juice in small quantities is not unhealthy, so you get a cheap and guilt-free pudding or treat. Once you have finished eating, if you rinse out your Slush, dry it and put it back in the freezer you can make another one within a few hours. If you leave it to stand until the cup has reached room-temperature then it will take around 12 hours to get cold enough again. 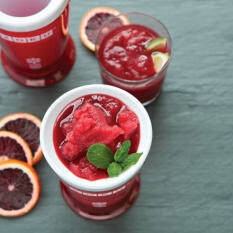 We love our ZOKU Quick Pop maker so when I saw the Slush Maker, I had to buy it! The instructions are, as always, super easy to follow. I used a light alcoholic beverage in my Slush Maker and within about 7 minutes, I had a deliciously refreshing slushie! This is going to be a hit in summer. Not badly priced at all either. Definitely getting some as Christmas gifts too. The Zoku Slush & Milkshake Maker is so easy to use, I'd read the reviews prior to the purchase but I didn't believe it would be that easy. The best part is the liquid changes to slushie right before your eyes in a matter of minutes. A must have for Slushie and Milkshake fans! 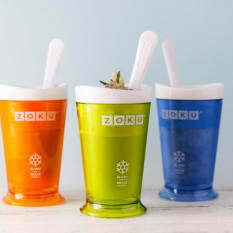 Bought the Zoku slush maker for my husband who had been craving coke slush and have used it almost every day since. It is quick and easy to use and clean and perfect for a hot summers day. The item was delivered speedily and the smoothie maker works like a charm. Literally makes the best smoothie in under 8 minutes!